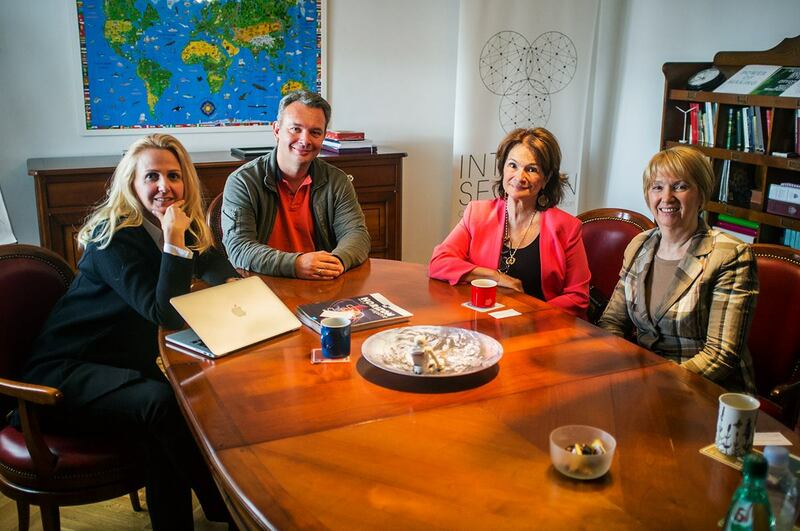 Meeting at Intersection with our esteemed Advisory Board member, Mrs. Stamenka Uvalić-Trumbić, former long time Head of Higher Education at UNESCO. Many thanks for the support and great ideas for future activities and projects! She was the Executive Secretary for the 2009 World Conference on Higher Education. Mrs. Uvalić-Trumbić is now Senior Advisor for International Affairs to CHEA (Council for Higher Education Accreditation, USA) leading the activities of the CHEA International Quality Group, Education Master at the DeTao Masters Academy (China), Senior Advisor to Academic Partnerships (USA), consultant to UNESCO and member of the Advisory Board of INTERSECTION.